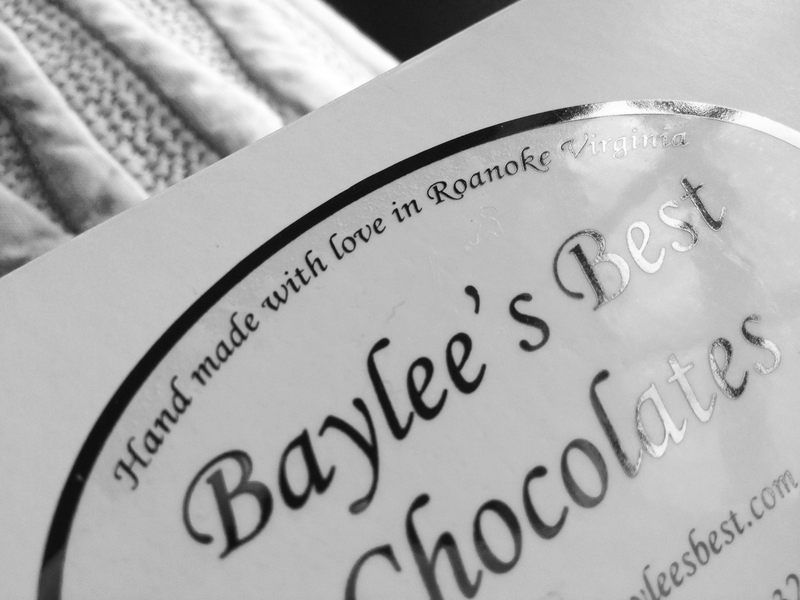 Yesterday , I found this extra-special little white box in my mailbox: The sender was no surprise: a sweet, big-hearted friend of mine is an incredibly talented chocolatier at Baylee’s Best. In all seriousness, though, my friend’s gift kinda blew me away, because I’ve been having little moments like this all week. Small gifts; encouraging texts; white chairs mysteriously left in the woods; small wonders around every corner. And I think all that is indicative of a truth I believe from the bottom of my heart, however flaky it might sound: when you choose to see the beauty and goodness around you? Then Goodness and Beauty lean in and yank back the curtain and say: Hey you! We’re over here! We’ve been waiting for you — pull up a seat! And I’m not going to try to understand the mechanism of that. Maybe it’s something that happens in our heart, that primes us to see the loveliness we were blind to, before. Maybe it’s a response from the people around us, who spot our efforts and stand up and cheer for us however they can. Maybe it’s the universe, the very nature of Divinity, bending down to be seen. My guess is it’s all those things, and other things I can’t yet comprehend. Regardless: it’s real. (Okay, that’s enough seriousness for the moment. In other news, please know that I might or might not have eaten one of these chocolates for breakfast. Go, me.). And I’ll tell you something else that’s probably pretty flaky. Those friends who *really* know me know this: I’m serious about the idea that when life gives you an unexpected gift, one of the most rewarding things you can do is to give that gift away, in part or in full. So that’s what I want to do this week — pass on the unexpected gift that my friend gave me, which showed up in my mailbox at just the right time, at the exact moment when I needed a little extra encouragement. Here’s how it’s going to work. 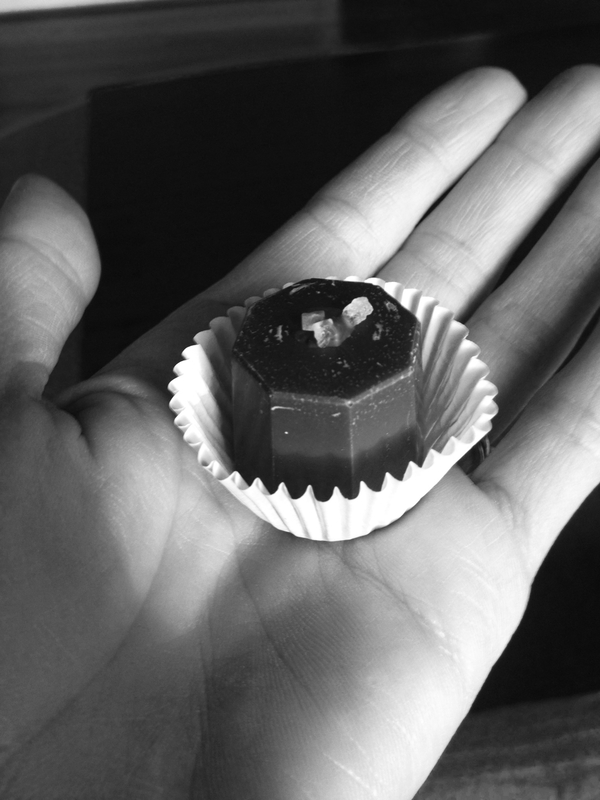 Do you want a box of handmade chocolate? Personally selected for you, by me, winging its way toward your mailbox, next week? Then just leave a comment here and let me know. That’s it. And on Monday night, October 27, 2014, at, say, 11:32 p.m. EST, I’ll randomly select one commenter and send them a little care package from the Star City of the South. (Full disclosure: random selection might mean I scroll up and down through five comments with my eyes closed and my index finger pointed at my laptop. ‘Cause we’re technologically sophisticated like that up in here). 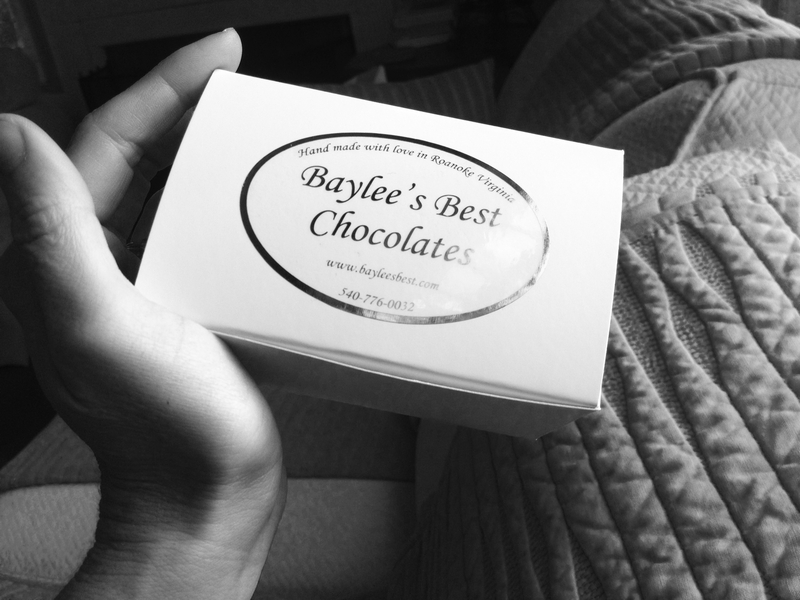 Now go out and pass on some little piece of the goodness you’ve been given… even if that means just leaning over and stuffing a piece of Fleur de Sel-flavored chocolate in your BFF’s mouth. Have a fantastic weekend! I’m grateful you stopped by. you had me at chocolate. PS all the flavors you listed sound incredible and I need in on some of this awesomeness. You are wcome to visit ANY day!! Oh GEEEE! I am droooooling, and that’s the best I can do! HA!